Want a look inside WDG (Web Development Group)? 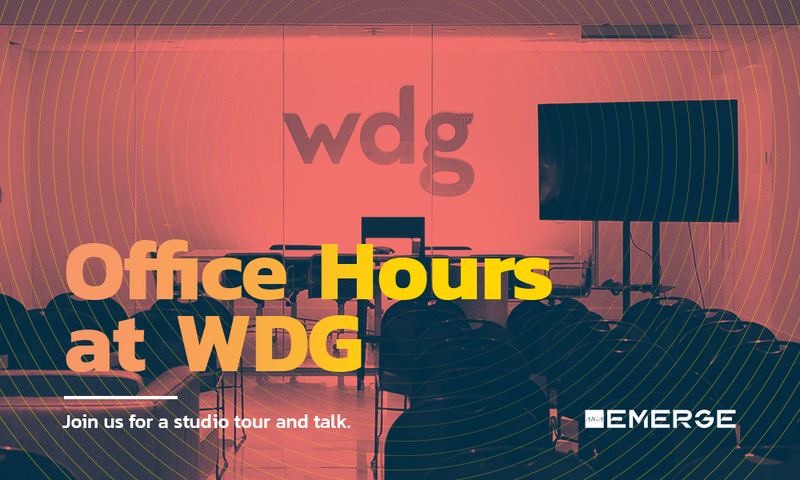 Join strategy, design, and development firm WDG in their brand new Clarendon office for an AIGA’s Office Hour. They’ll share how they partnered with organizations and people to create real and relevant impact worldwide by creating a comprehensive, powerful, and engaging digital presence. WDG is an experienced digital agency providing unique solutions to digital challenges. They lay the foundation for each project by understanding the targeted business goals and audience needs, creating a data-driven approach delivers results that are strategically on-brand. With more than 14 years in the game, WDG’s diverse team is committed to solving our client’s digital needs. Office Hours is an ongoing series of informal discussions held in a local creative space. AIGA aims to create a time and space for designers and creatives to meet and discuss in a welcoming and inclusive environment.